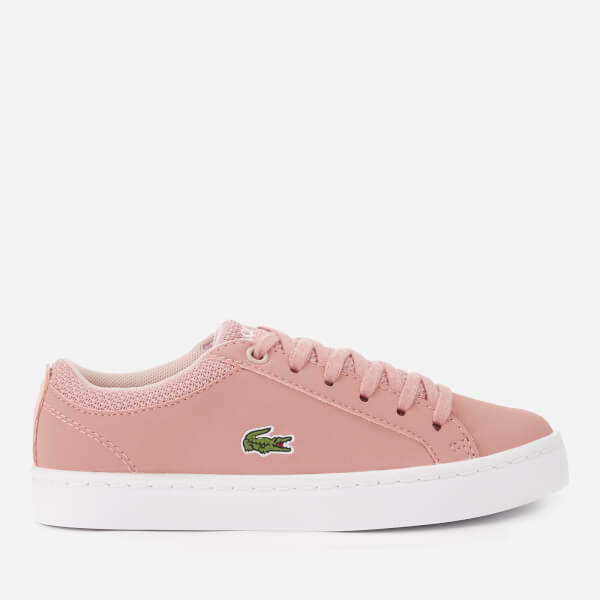 Kids' pink low top trainers from Lacoste. 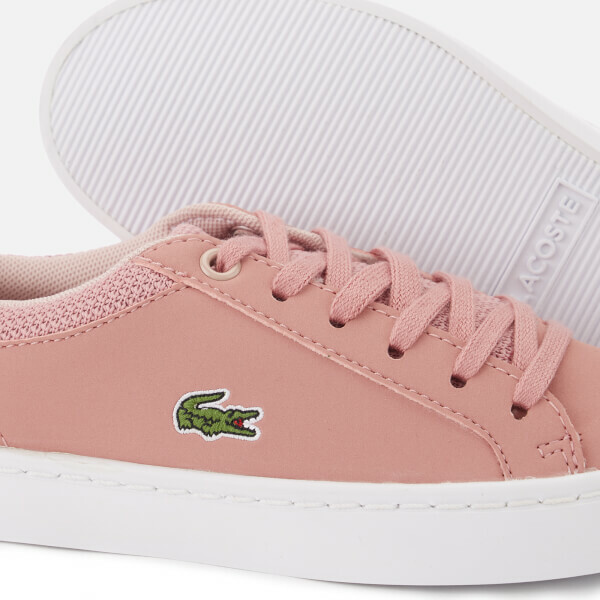 Crafted with leather-look and mesh uppers, the 'Straightset 318' sneakers feature a rounded toe, a lace fastening and a signature embroidered crocodile logo to the outer vamp. 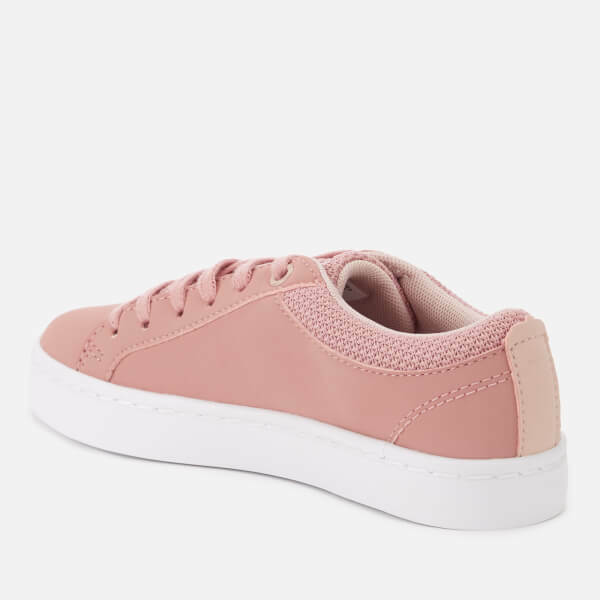 The trainers sit on a contrasting white sole with a textured outsole for added grip. 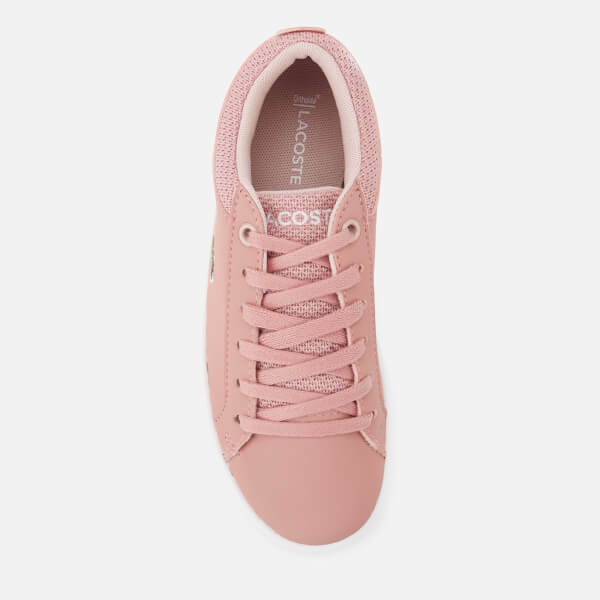 Complete with padded Ortholite insoles for enhanced comfort and breathability, tonal topstitching and embroidered branding on the mesh tongue. Upper: Synthetic/Textile. Lining: Textile. Sole: Rubber.